Experiencing films on the big screen is something that can be enjoyed by everyone, but accessibility can sometimes lag behind demand. How do we make sure the cinema is open to everyone? Julie Ryder is a deaf cochlear implant user. She founded and is Managing Director of award-winning HearFirst Training and Consultancy, which delivers a range of deaf and disability awareness training courses to a wide variety of sectors across the UK with the aim of making real changes for D/deaf and disabled people. 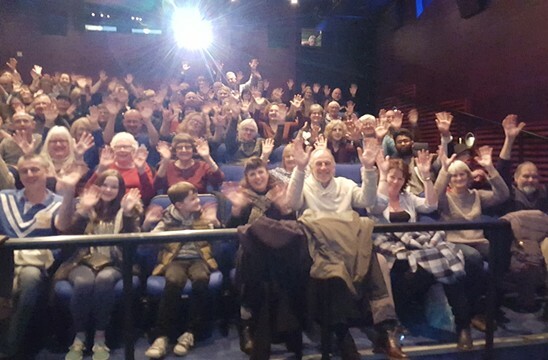 In the first of two blog posts focusing on accessibility, Julie gives an overview of facts around the UK’s D/deaf community, the current state of provision for D/deaf audiences in independent cinema exhibition and what you can do to maximise your cinema’s accessibility for the D/deaf. At least 1 in 6 people in the UK are affected by deafness. The degree of deafness is unique to each person. Communication methods vary widely and include British Sign Language (BSL), lipreading and the use of any residual hearing. People who use BSL as their first language are often referred to as Deaf (with a capital D) and consider themselves part of a linguistic minority rather than disabled. Deaf people may be bilingual or use English as a second language – the use of English varies in this group. Other people with hearing loss may use English as their first language and can be referred to hard of hearing, deafened or deaf (with a lower case d). Due to language differences, both groups have different needs in terms of cinema access. The term D/deaf is used to include anyone with a hearing loss regardless of communication preference. Hearing aids and cochlear implants help people to hear better but don’t completely fix their hearing. Hearing loss increases sharply with age. People may have other disabilities as well as their deafness. All D/deaf people need you to have patience, acceptance, a flexible approach and offer equality. After a few disappointing trips to the cinema in the early 1990’s I finally succumbed to my progressive deafness and sadly accepted that the cinema was no place for me. A few years later, I was surprised to read about a one-off subtitled screening, and tentatively stepped back into the auditorium. These days I expect to be able to see whatever film I want, but know I am limited to the set dates and times of subtitled screenings. My knowledge, perceptions and expectations of accessible cinema have changed overtime and are still changing. So, what can you do to influence perceptions? To know what you offer e.g. subtitles, BSL interpreted films, talks or tours. To know about technology or equipment you have which we might find useful e.g. loop or infrared systems. To be given confidence your staff know what they are doing. If they’ve had deaf awareness training or know some basic British Sign Language, tell us! It demonstrates that you’re serious about access and makes us feel reassured. Once we are open to the idea of coming to the cinema, ensure there aren’t any further barriers to stop us. We need you to clearly indicate which individual screenings are accessible and what the accessibility offer is, e.g. subtitles. Information buried deep in your website is hard to access and creates a barrier. Offer a selection of days and times. Keeping the accessible screening on the same day and time can help build a core audience of regulars, but can also exclude new customers. British Sign Language users may find the English on your website hard to access. Having web content available in BSL is a guaranteed way of saying to a BSL user you are welcome here. In all cases use plain, clear English. If tickets are being purchased either online or over the phone and you know one of the party is D/deaf, then anticipate needs and be mindful of preferences e.g. be able to explain which seats are the optimum place to read the subtitles from, or ready to tell me where to go on arrival to collect the headset I might have just asked you about. On a recent visit to the cinema, I arrived, purchased the tickets and double-checked with the member of staff that the film would be subtitled as advertised. She looked embarrassed and responded by apologising that there would be subtitles on the screen. I’m not sure if she had had hearing people complain to her about subtitles in the past, but it was a sure way of making me feel uncomfortable and unwelcome within five minutes of arrival. On another visit to a different cinema, I experienced better customer service. I asked the member of staff what equipment they had which might help me. He immediately gave me a headset and gave me clear user instructions. Ten minutes into the film, he came into the auditorium to check I was OK and gave me an email address in case I needed to contact them in the future or wanted to request a subtitled screening. The range of D/deaf peoples needs, their communicating preferences including knowing some basic BSL. Any equipment/technology you have, who it might benefit, how its used and where its kept. The business, legal and moral reasons/benefits to being accessible. How to respond positively to any non disabled audience members who complain about your accessible screenings. Set the environment up so its inclusive to D/deaf people, e.g. in areas where staff will be communicating with customers, reduce background noise and keep it well lit so we can see you. Use BSL and subtitles as well as audio on your foyer AV displays. After all your hard work changing perceptions, removing barriers and creating welcoming visits, it would be a shame to lose your hard won D/deaf audiences. Keeping in touch with us helps you to grow and develop your D/deaf audiences. Remember to have lots of communication channels available. I prefer email but other D/deaf people prefer text or maybe social media in either English on a BSL video. Tell us what accessible screenings are coming up so we can get dates in our diaries and let friends know so we can make it a night out. 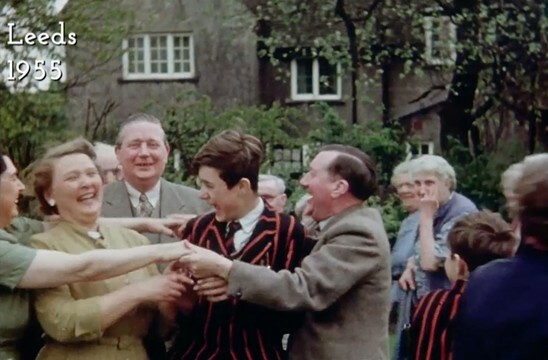 Creating accessible cinema isn’t simply a matter of ticking the boxes on a checklist. Its an ongoing, ever-changing journey. Have a mechanism to regularly share good practice within your cinema, with your partners, with your audiences, with your sector. 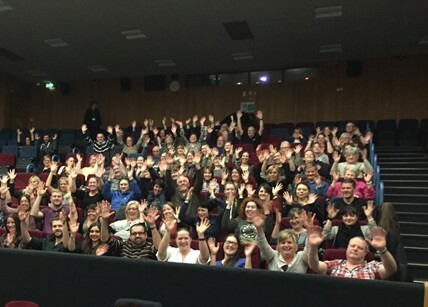 Stop whats not working: its unlikely that no D/deaf people want to come to your cinema, so if you’re consistently getting low audience numbers, make a change. Be proactive and positive about implementing changes. Keep staff up to date and refresh awareness training.